I had someone ask me what I used to create my curls. Immediately I thought it would be a fun idea to dedicate a full post on it. I love the look of loose curls in my hair. 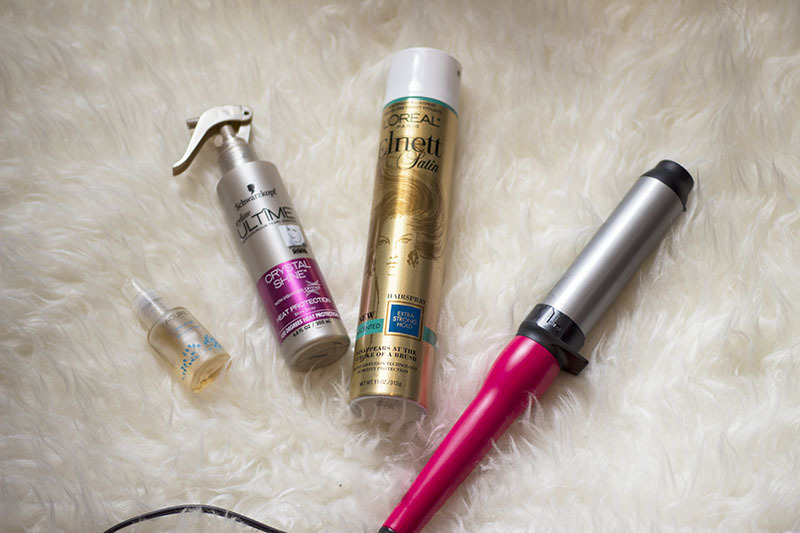 It's something I've been doing for years the only difference now is that I've started using a curling wand instead of my flat iron. It's so much easier. 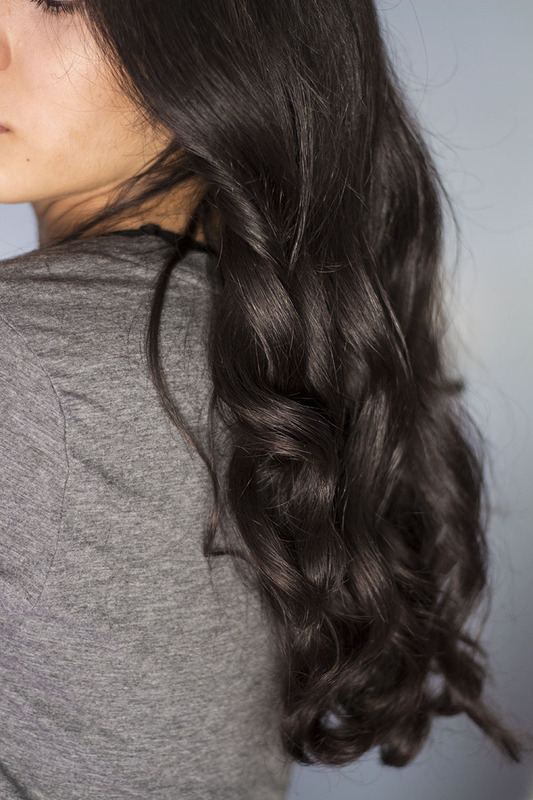 Just wrap the hair around the barrel for a few seconds and say to hello beautiful curls! I start out with clean hair. 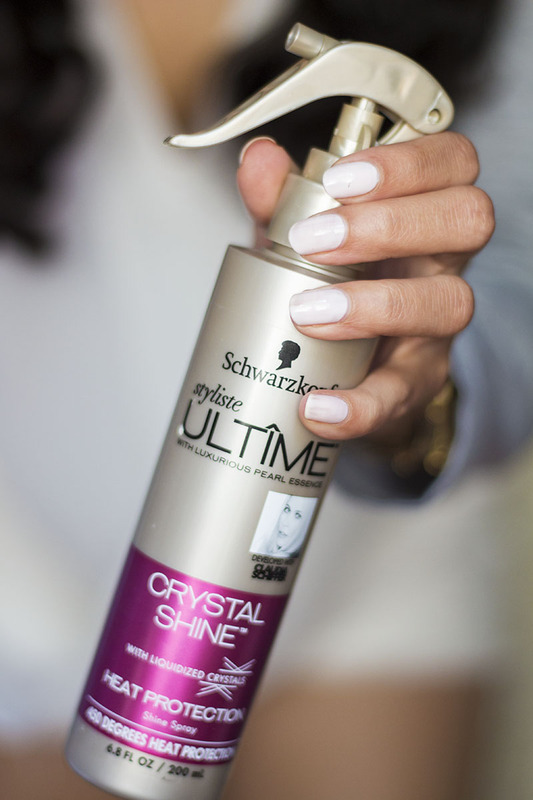 I brush it out and apply heat protectant focusing on the ends, middle, and bang area. I also add a couple drops of oil to my ends. Next I divide my hair into sections - a top and bottom and then divide those into smaller sections. One thing I always make sure to do it brush each little section before curling to make sure it's as smooth as possible. I alternate the curl pattern on the bottom section but always curl away from my face on the top section because that's the way I like it the best. 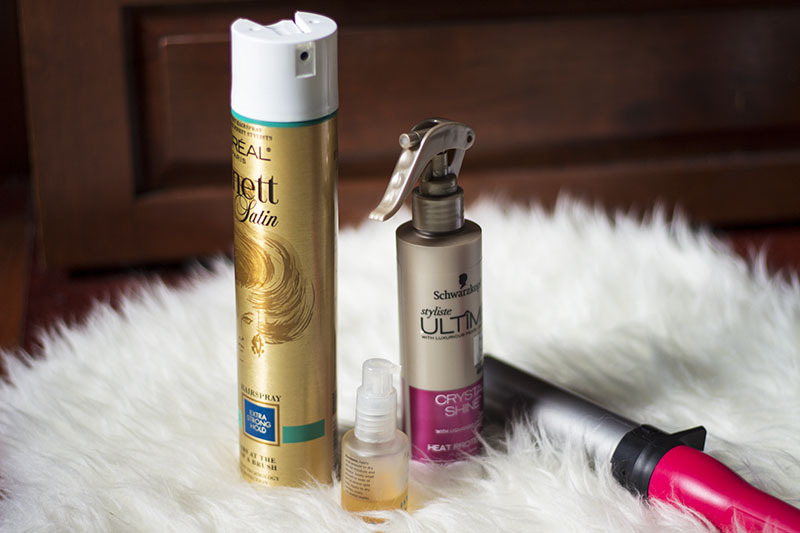 Once I'm done curling I lightly spray hairspray to make sure my hair holds the shape. Then I take my flat iron and smooth out the roots of my hair since they tend to look a little wavy. 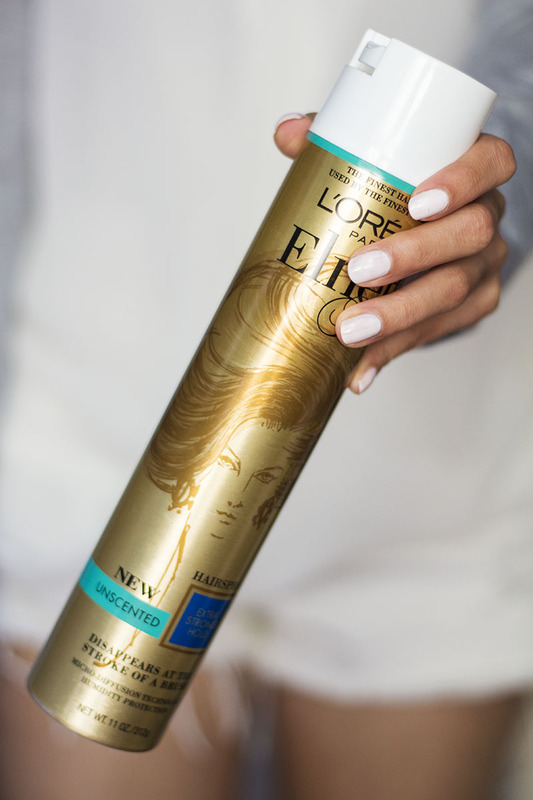 Then spray hairspray on the bristles of a dense brush and use that to smooth out any flyaways. I use hairspray one last time all over my hair for the final touch!